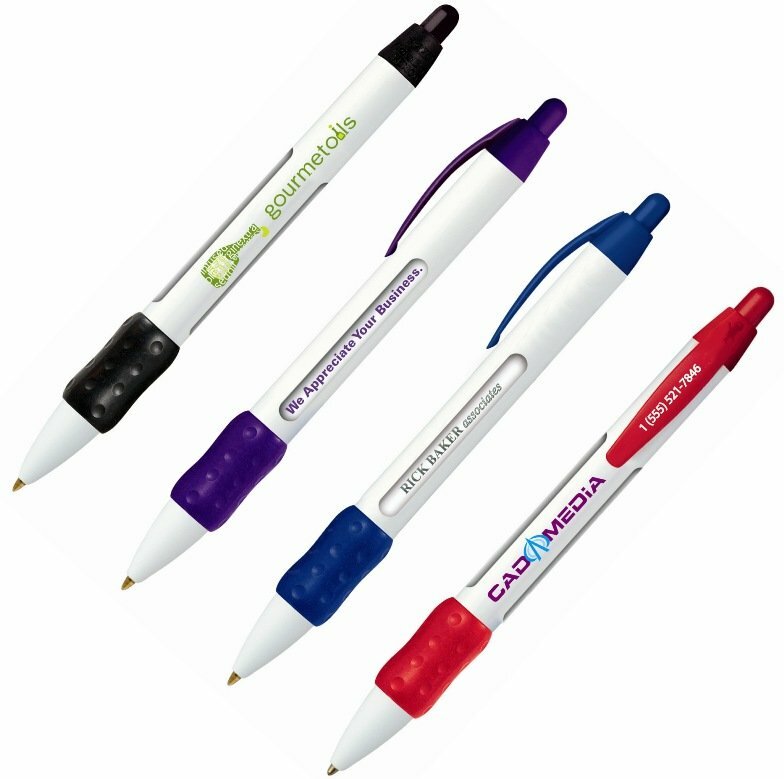 Get a grip on your message, matter of fact six rotating messages plus a logo on Bic Wide Body Message Pens. Promotional applications are numerous, medical field, recruitment, HR polices, new services promotions. Features include Bic brand name, quality plastic, rotating message retractable, clip, comfort gripper. Price includes a one color imprint on backside in area 2 1/8" w x 3/8" h.
Inline with clip imprint is available in area 1 1/8" w x 3/8" h. Specify. Price includes text only imprint of 6 messages, 40 C & S each. on the barrel add $.12 each, max of three color imprint. Clips imprint in an area 3/4" w x 5/32" h add $.15 each. Logos require Illustrator, In Design eps, ai or pdf file.